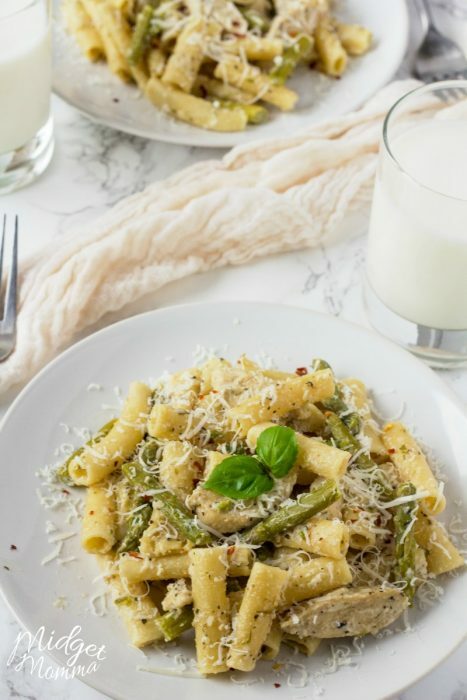 If you are looking for an amazing easy pasta dish this Creamy Chicken Asparagus Pasta is going to hit the spot. 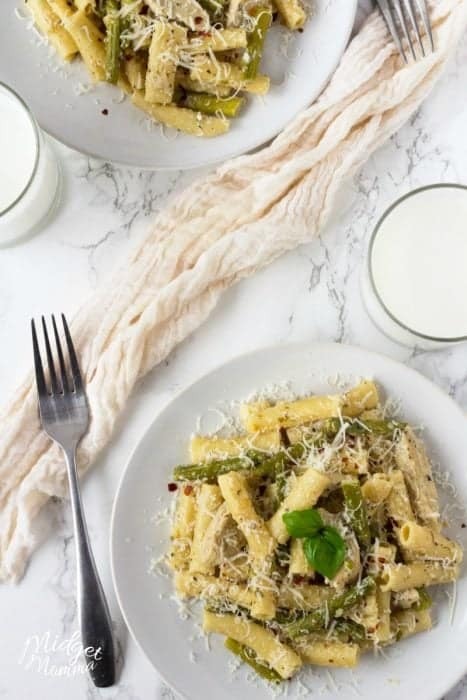 This easy Chicken Asparagus Pasta dish has a light creamy sauce that is made with milk instead of cream like a traditional Alfredo sauce would be made of, but one amazing flavor. When you are a busy Mom you need to have simple meals, however let’s be real here. 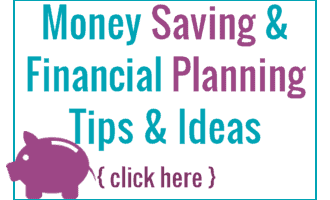 None of us want to eat a meal that tastes like it was quick and easy. We want a good tasting meal that is simple to make. 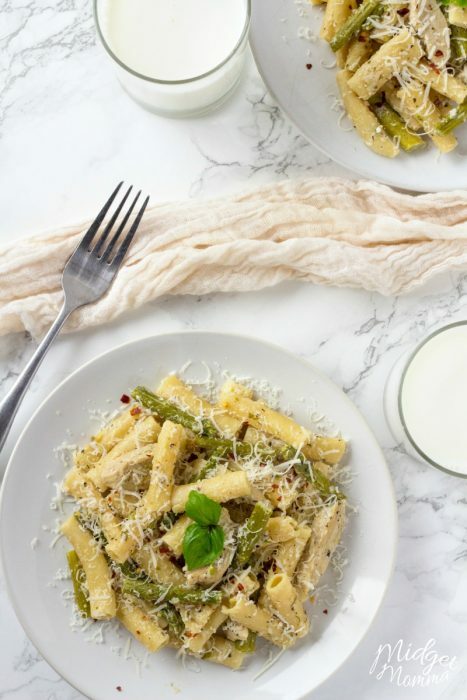 This easy chicken asparagus pasta dish is the perfect choice. 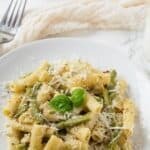 This creamy chicken asparagus pasta dish can be on the table in about 30 minutes from start to finish. Yes that is right, in about 30 minutes (and just 2 dishes) you will have a full tasty meal on the table that everyone in the family will enjoy! That makes me happy, I love a quick simple pasta dish that has amazing flavors! My family loves it when I make this Chicken Asparagus Alfredo Pasta. It is an easy pasta dish with ziti noodles, chicken and asparagus tossed in a creamy Alfredo Sauce! Cook pasta for 8-9 minute, until al dente. During the last 5 minutes of cooking, add the asparagus to the water. Heat olive oil in a skillet over medium heat. Add the chicken, garlic, onion powder, garlic powder, Italian seasoning and red pepper flakes cook until light brown. Add chicken broth, milk, cream cheese, and half of the Parmesan cheese. Stir until well combined and the cream cheese is melted. Stir in the cooked pasta and asparagus. Add remaining Parmesan cheese, and salt and pepper. Looking for more amazing Pasta dishes? Check these out!